I read this article and found it very interesting, thought it might be something for you. The article is called How to Fight Racism, Part 3 – Commitment to Action and is located at https://thewitnessbcc.com/how-to-fight-racism-part-3-commitment-to-action/. Is racism mostly a reality of the past? Has America largely overcome its fixation with skin color? Have we become post-racial? The signs of progress inundate our society. We have seen black people and other people of color enter all segments of life from blockbuster movies, to the Supreme Court, to billionaire-level wealth. It appears as if the American Dream is finally available to anyone, no matter their race or ethnicity, if people are willing to work hard to achieve success. But beneath the exceptional individuals we like to lift up as signs of progress, another story waits to be told. A few decades of change will not so quickly erase centuries of white supremacy. The repercussions of racism reverberate to this day. In terms of wealth, for instance, black people have never achieved parity with white people. The Institute for Policy study released a report called “Dreams Deferred,” which indicated that “between 1983 and 2016, the median black family saw their wealth drop by more than half after inflation compared to a 33% increase for the median white household.” Data also showed that “the median Black family today owns $3,600— just 2% of the wealth of the median White family.” By the year 2082, black family wealth will have plummeted to $0. In terms of mass incarceration, “African Americans are incarcerated in state prisons across the country at more than five times the rate of whites, and at least ten times the rate in five states,” states a 2016 report. Overall, although the U.S. has just 5 percent of the world’s population it has 25% of its prisoners, and a disproportionate number of incarcerated persons come from racial and ethnic minority groups. The list could go on—voter suppression, health disparities, under-education. All of these factors fall along racial lines. Sociologists Michael Emerson and Christian Smith characterize such patterns not as racist but racialized. Handshakes, hugs, and cups of coffee are fine, but such inter-personal attempts to address racism will never uproot it on a brand level. Only vigorous and sustained efforts to transform the systems that support racial suppression will blunt the ongoing effects of racism in our society. The following suggestions build on Part 1 & Part 2 of this series on “How to Fight Racism.” It follows the A.R.C. of racial justice which stands for: Awareness – Relationships – Commitment. This final post focuses on the last category—commitment. Fighting racism is not an annual event like MLK Day or Black History Month. It is not an occasional activity but a daily disposition. Dismantling racist structures does not happen by being nice to people of a different race or ethnicity. Transformation takes place when we undermine the foundations of white supremacy embedded in systems, institutions, and policies the perpetuate racial superiority or inferiority. The actions below require a lifelong commitment to opposing racism in all its forms. The United States incarcerates far too many people.e and far too many of them are black , brown, and poor. As Bryan Stevenson of the Equal Justice Initiative has stated, in our criminal justice system, “it is better to be rich and innocent than poor and guilty.” A commitment to action in the area of criminal justice reform would look like learning who your local prosecutor his and holding him or her accountable to progressive sentencing reforms. These women and men are elected officials, but as James Forman, Jr. teaches, hardly anyone votes in these elections. Another way to reform criminal justice is to push for restorative justice practices. This approach is victim-centered, and rather than solely fixate on punishment, it focuses on the harm done and how to repair it. The Confederate states seceded primarily to preserve the institution of race-based chattel slavery. Although some will try to argue differently, the states themselves were clear on their reasons for secession. “Our position is thoroughly identified with the institution of slavery– the greatest material interest of the world,” said the state ofMississippi the it left the Union. 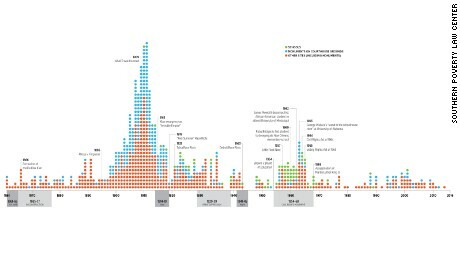 Records also show that Confederate monuments proliferated during periods of intense racial conflict in America to re-assert the ideology of white supremacy. These statues, plaques, and the memorials did not simply remember the dead but insisted on the the power and control of white people over people of color. Those vestiges of the Confederacy and white supremacy must come down. Juneteenth, a mashup of the words June and nineteenth, remembers the day in 1865 when slaves in Texas finally learned about their emancipation. It is the oldest-known celebration of black freedom from slavery. And it should be a national holiday. Three reasons we should commemorate Juneteenth annually as a nation: 1) It is a way to highlight freedom 2) Emancipation is one of the most important events in U.S. history 3) It reminds us how far we’ve come and how far we have to go. I’ve written extensively about this elsewhere. It’s my thing. Let’s make it happen. There are countless more ways you can commit to fighting racism on a systemic level. By now, though, you should realize that racism happens on more than an interpersonal level. It is systemic, institutional, and often invisible. But that doesn’t mean racism doesn’t exist. Commit yourself to a lifetime of anti-racist action and join in the cloud of witnesses who have paved the path of freedom. I’m disappointed at the lack of discussion, here or even on Twitter, in relation to the First Step Act. For all the talk and desire on criminal justice reform, the silence (aside from a tweet on Tom Cotton) is rather frustrating. I and others would like to know if it is a good first step toward ending mass incarceration, commuting non-violent sentences, and setting the stage for additional reforms in your opinion. Being a bi-partisan bill, led by this administration, I would have thought it warranted your attention and discussion. My understanding is that it does some very good things, like ending the disparity in descriptive drug sentences along lines of “crack” vs. “cocaine” designations. I think this is actually a poor point to focus on unless your persuasion is positive and not trying to win the argument on their origin and intent, namely because of the libertarian/constitutional arguments that abound in which people focus on in response, but more so because all it will do is create angst. I have no issue with a community, electing and voting to remove or add previous statues. That’s what the constitution allows for. Even if this means Arkansas can erect a demonic statue or Charlottesville a confederate soldier. So what do you hope to gain through that argument that doesn’t make things worse relationaly with others? Sounds like a great addition to holiday schedule. I think there is more to the story than you include in your variables. And it’s not that racist policies across the political spectrum havent’ set back many African Americans, but it’s the limitation of where you’re attempting to pin point it. For instance, how much does illegal and legal immigration impact the African American citizen between 1983 and 2016? A little? A lot? Or have you ever even considered that question? How much did the minimum wage impact wealth disparity? There is a libertarian argument out there that makes a big discussion of this that’s worth googling. You need far more than the correlations you’ve often run with to present a clear picture, and a clear picture is important at least for decision making on where to amend, correct, and make things better. Also, there are many positives abounding that can be looked at. For instance, black business ownership was up 400% last year. Millionaire African Americans have risen to 8% of millionaires which brings it far closer to the 12% or so in overall population. I would not be surprised that over the next generation where opportunity currently abounds that this gap begins to close. Regardless, in my understanding and experience is that if you want to grow relationships and be more persuasive to your ends, constant criticism and arguing the past won’t get you there. I would love to see the Confederate Monuments come down as well. That is going to take a lot of prayer and change of heart across the South though. But is anything impossible for God?! Perhaps extraordinarily wealthy black athletes – like LeBron James – should be strongly encouraged to spread their wealth around? Or maybe tax it. Just think of all the good that could be done if all of these phenomenally gifted and wealthy professional football & basketball players were required to give 75% of their wealth to those who are less fortunate.